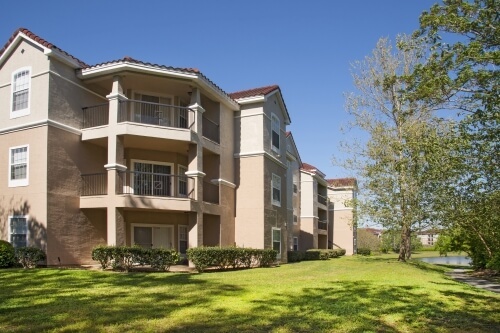 Tuscany Place is a 288-unit luxury suburban apartment community in Ocala, Florida. Located only two blocks off Interstate 75, the property provides residents immediate access to shopping, dining, and entertainment venues as well as the city's best schools and largest concentration of employers. The Ocala Regional Medical Center, Vines Hospital, Paddock Mall, Macy’s, Lowe's, and a large number of specialty medical practices are all located in close proximity to the property. Community features include: Clubhouse, fitness center, car wash stations, tennis court, detached garages, swimming pool, summer kitchen, waterscaping, pet areas, nearby lake and public park, and business center. Tuscany Place was developed in 1997 by the AG Spanos Companies and consists of 288 apartment homes ranging from 763 square foot one bedroom floor plans to 1380 square foot three bedroom plans. Individual residences feature microwave oven, refrigerator, stove and cooktop, washer/dryer connection, carpeting, ceiling fans, and walk-in closets.